Once again, Meghan March truly saved the best for last! Rogue Royalty was an absolutely PERFECT conclusion to the Savage Trilogy, and I honestly loved it with all of my heart and soul! 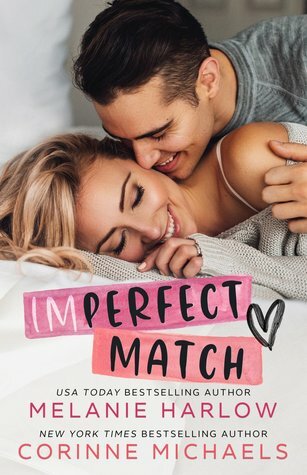 The storyline and characters were phenomenal, and I loved Meghan March’s writing style. She is truly the queen of romantic suspense, and I’m so freaking excited to read more from her! The storyline was amazing, and that’s probably putting it mildly. The plot was incredibly unpredictable (although I did have a few assumptions that were correct), and I was on the edge of my seat the entire time, especially towards the end. I loved the mixture of hot romance and riveting suspense, and I was literally hooked from beginning to end. I shouldn’t have been shocked by anything, but Meghan March once again worked her magic and left my mind spinning with everything that happened. Thank goodness Rogue Royalty was the conclusion to the Savage Trilogy, because I don’t think I could’ve handled another cliffhanger. The characters were out of this world fantastic. Kane and Temperance, as well as several other familiar faces, were phenomenal, and I loved them to pieces. They completely stole my heart, and I fell even more in love with them. Kane and Temperance had amazing personalities, and I adored the super hot chemistry and strong connection they had together. It wasn’t as great in the beginning due to certain circumstances, but I ultimately loved how their relationship progressed throughout. I loved reading the book from both Kane and Temperance’s point of view, and all of their banter and interactions with each other. Their journey in this final installment was an emotional roller coaster, among other things, and had me gasping at every turn. It definitely wasn’t an easy ride, but every single thing was completely worth it in the end, and I was absolutely ecstatic with the conclusion to Kane and Temperance’s unforgettable story. Rogue Royalty was an absolutely BRILLIANT conclusion to the Savage Trilogy, and I would HIGHLY recommend it and the previous two books! 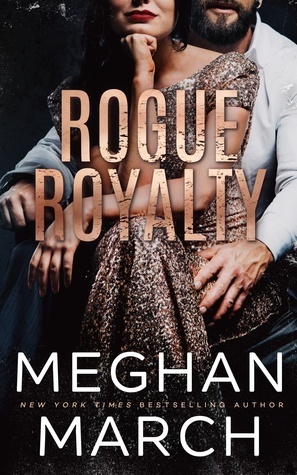 Meghan March completely blew me away with this entire trilogy, especially Rogue Royalty, and I was so freaking happy with the outcome to Kane and Temperance’s story. Meghan March is by far my favorite romantic suspense author, and I’m dying to read her next release, Richer Than Sin!